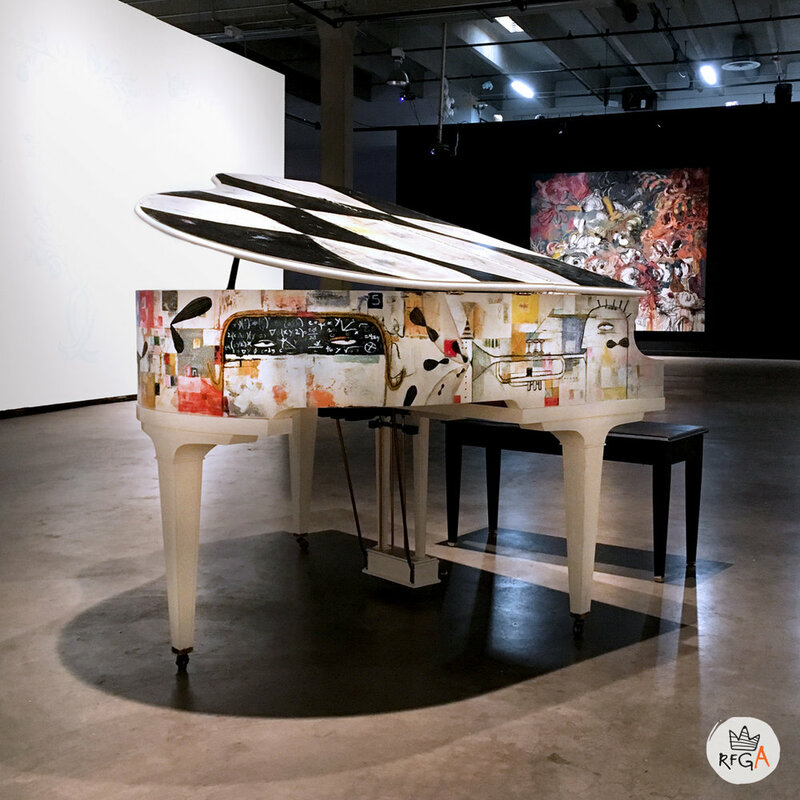 This Baby Grand piano was painted and donated to the 2017 Global Down Syndrome Foundation Gala. The amazing Mr. Jamie Foxx signed the piano and agreed to play it at the home of the winner! 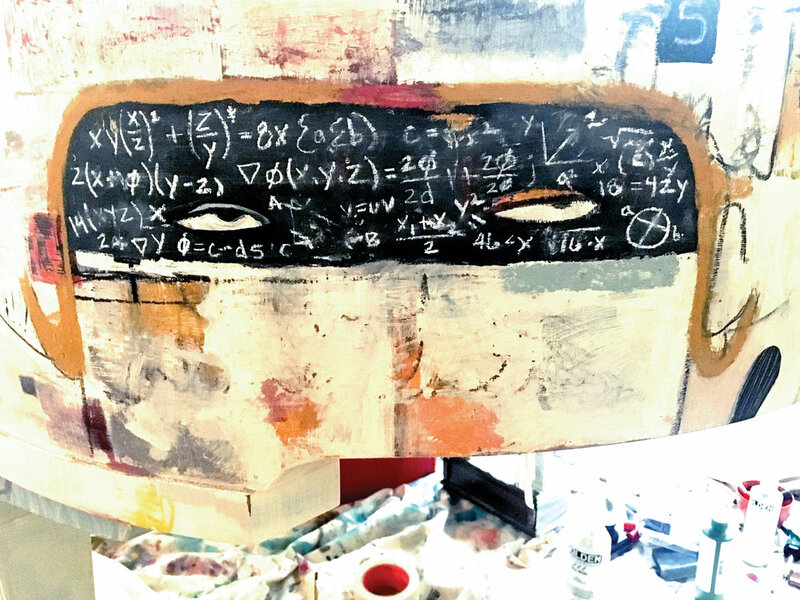 Layers of acrylic and oil paint were applied and removed continuously to achieve a depth of color and texture. Scientists have found that music stimulates more parts of the brain than any other human function. Music moves us. It stimulates our imagination, shapes our brain, opens emotions, and transcends language and cultural barriers.